The latest data released by the International Data Corporation (IDC) shows that smartphone shipments in the first quarter saw the smallest year-over-year growth on record. The biggest change that the new data from IDC reveals is that Chinese smartphone makers Oppo and Vivo in Q1 2016 for the first time made it to the top 5 smartphone vendors based on the number of units shipped. Oppo (fourth) and Vivo (fifth) also replaced previous fourth and fifth vendors Lenovo and Xiaomi respectively. According to IDC, smartphone vendors shipped 334.9 million smartphones worldwide in Q1 2016 which was only slightly more from the 334.3 million units shipped in the first quarter of 2015. The company attributed the drop in shipments to smartphone saturation in developed markets. The data explicitly said that the Chinese market matured and the demand for smartphones had drastically slowed down in the market. It also said that top smartphone vendors Samsung and Apple also recorded a year-over-year decline. Samsung maintained the lead in the worldwide smartphone market though it recorded a year-over-year decline of 0.6 percent in shipments. It shipped 81.9 million units in Q1 2016 compared to 82.4 million units in Q1 2015. The report said that the new high-end Galaxy smartphones from Samsung sold “vigorously in the month of March” and helped the company to push the volume. Talking about the emerging markets, IDC said that Samsung performed well with its more affordable Galaxy J-series.Apple saw a huge drop in shipments and saw 51.2 million units shipped in Q1 2016 dropping from 61.2 million units in Q1 2015 – a decline of over 16 percent. Apple recently reported it’s first-ever decline in iPhone sales and also announced its first revenue drop in 13 years. Chinese smartphone maker Huawei saw a boost in smartphone shipments with 58.4 percent year-over-year growth. The company shipped 27.5 million units increasing from 17.4 million in Q1 2015. IDC says that Huawei’s strategy to focus on both premium and budget segment saw impressive response in China as well as European markets. Oppo’s entry into top 5 smartphone vendors is credited to its year-over-year growth of over 150 percent. The Chinese company shipped 18.5 million units in Q1 2016 while the company managed to ship 7.3 million units in Q1 2015. 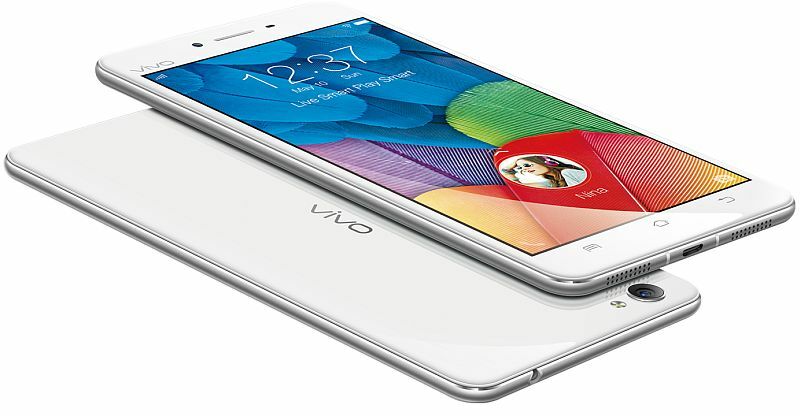 Vivo also saw year-over-year growth of over 100 percent. The company managed to ship 14.3 million units in Q1 2016 while last year same time Vivo shipped 6.4 million units.